It was February 1977, and Robert Ballard, a marine geologist at Woods Hole Oceanographic Institution (WHOI), sat aboard the research vessel Knorr 400 miles off the South American coast, staring at photos before him. 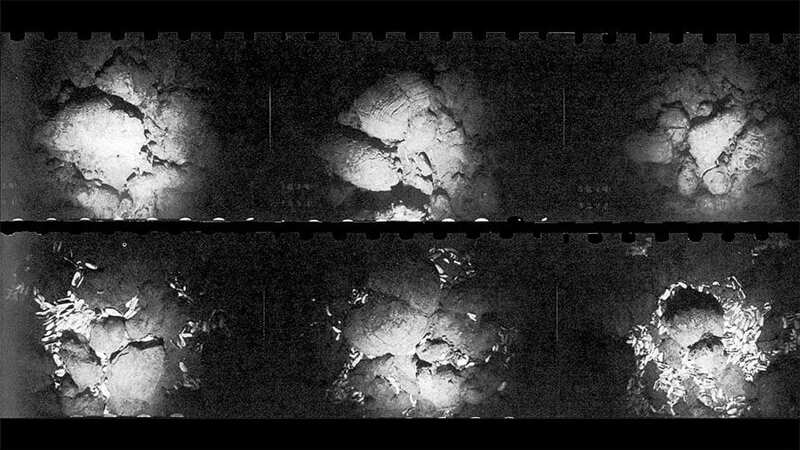 The photos had been taken by cameras towed 8,000 feet (2,500 meters) below the surface on a platform called ANGUS. They unveiled a discovery that would turn our understanding of life on Earth on its head: Warm water was drifting out of the seafloor along the Galápagos Rift. Ballard, along with a team of thirty marine geologists, geochemists, and geophysicists, had found the world’s first known active hydrothermal vent. There were no biologists aboard—because no one had expected the second shocking discovery that came soon after: Life was thriving in the abyss. Foot-long clams and human-sized tube worms with tulip-looking heads made the already extraterrestrial landscape look, well, alien. 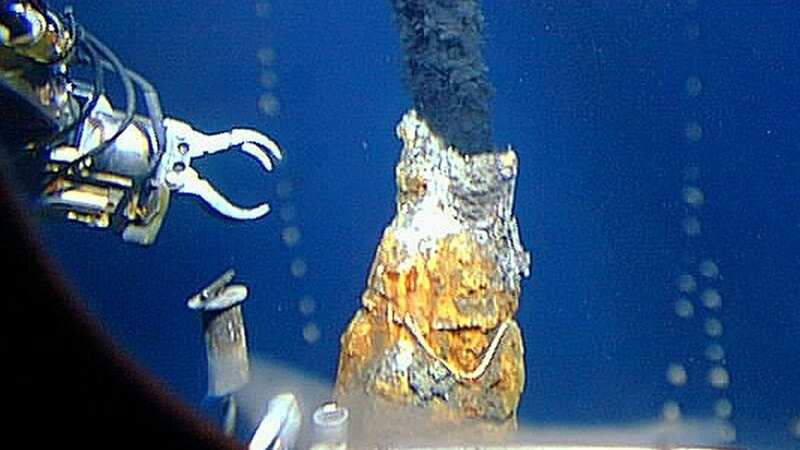 Hydrothermal vents form in volcanic areas where subseafloor chambers of rising magma create undersea mountain ranges known as mid-ocean ridges. Cold seawater seeps into cracks in the seafloor and can be heated up to a raging 750° F (400° C) by interacting with magma-heated subsurface rocks. The heat stimulates chemical reactions that pull in minerals and chemicals from the rocks, before the fluids percolate back up through vent openings as a chemical-laden soup. It turns out that nutrients and chemicals belching out of the vents were fueling a rich and productive ecosystem. Communities of microbes fed off chemicals in the vent fluids. The microbes were hosted symbiotically by the strange creatures of the deep, which provided shelter in exchange for food. No plants, no sunlight. Just microbes converting carbon dioxide in the ocean into organic compounds—for themselves and for their hosts. The long-held notion that life at the bottom of the ocean couldn’t exist without food that rained down from the sunlit surface was tossed out the window. 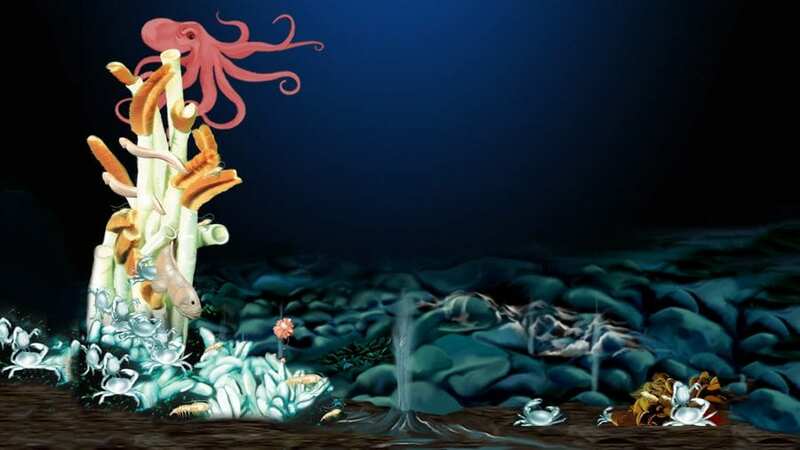 Along with photosynthesis, there was chemosynthesis supporting an entirely new kind of ecosystem in the abyss. 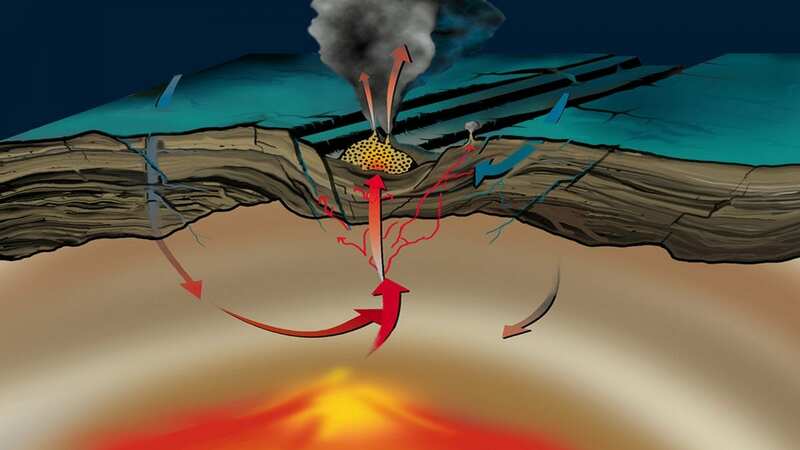 Two years after the first vent was found off Galápagos, scientists exploring another mid-ocean ridge a few hundred miles north found never-before-seen geysers of hot, dark, mineral-rich fluid erupting from tall, chimneylike structures jutting up from the seafloor. The fluids trailed away in underwater plumes like smoke from smokestacks. They called these new types of vents black smokers. 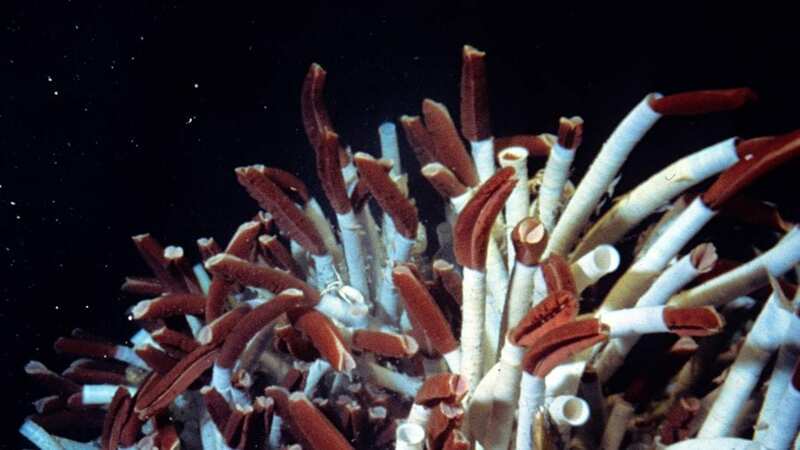 Since then, hundreds of vents have been discovered across the global ocean, from Antarctica to the Arctic, along with an estimated eight hundred vent animal species and countless microbial species. The rate of discovery shows no signs of leveling off. In August, 2017, WHOI scientist Stefan Sievert organized the Elizabeth W. and Henry A. Morss Colloquium “Life Without Sunlight at Deep-Sea Hot Springs” to celebrate the 40th anniversary of the discovery of these unique ecosystems and to inform the public about the implications of chemosynthesis for life on Earth and possibly other planetary bodies. It coincided with the 6th International Symposium on Chemosynthetic-Based Ecosystems (CBE6) at which scientists from around the world convened to discuss the current state of hydrothermal research and where things are headed as our understanding of life without sunlight evolves. 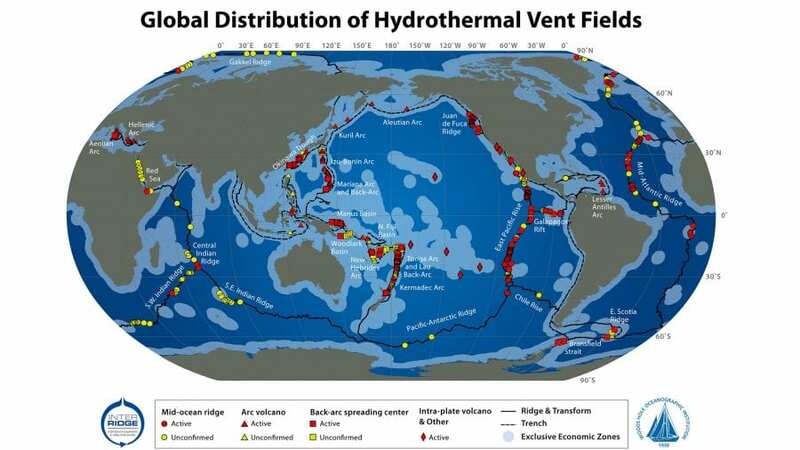 As scientists began finding additional vent sites in the decades following the initial discovery, most were in volcanically active areas along mid-ocean ridges similar to the Galápagos Rift. In the early 2000s, however, things began to change. Scientists discovered a vent system known as the Lost City Hydrothermal Field near the ridge axis in the Atlantic Ocean. Sitting on an ancient slab of seafloor crust, the field contained vent structures as tall as the Leaning Tower of Pisa and, unlike previously discovered vents, this system was hosted not in crustal rocks, but in peridotite, the rock type that makes up most of Earth’s upper mantle. “Folks began finding hydrothermal systems that were not hosted in basalt—the main rock we find in the oceanic crust,” said Frieder Klein, a geochemist at WHOI. “This had important implications for our understanding of these systems and their associated ecosystems, because it makes a difference whether seawater is reacting with oceanic crust, or with Earth’s mantle.” It changes the chemistry of fluids emanating from the vents. As scientists expanded their explorations in other types of geological settings—at the margins of continents and arc island volcanoes, for example, or at subductions zones, where one plate dives beneath another—they found a diversity of vents and other kinds of seafloor fluid flow that can support chemosynthetic life, said WHOI scientist Chris German. Finding vent systems in diverse oceanic environments takes curiosity, determination, and, well, guts. It also takes some pretty robust technology. Metal-crushing pressure, scorching-hot seawater, and rugged, dark landscapes are just some of the extreme conditions that make vent research tough on scientists and the tools they bring down there. 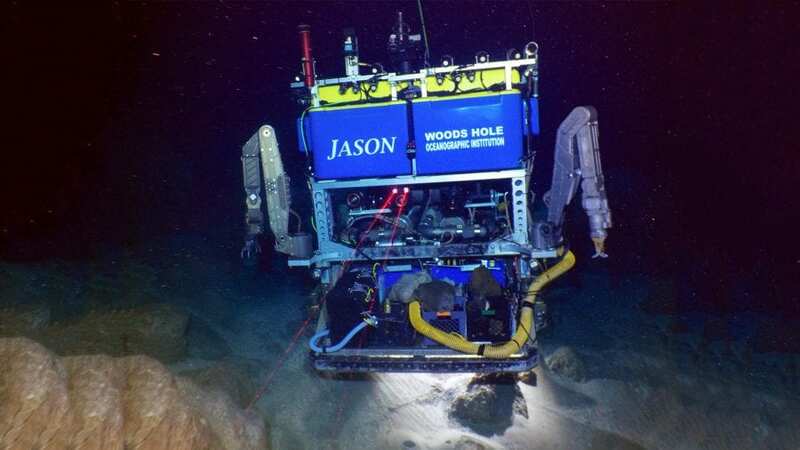 Fortunately, the challenges of extreme deep-sea exploration have led to tight collaboration between marine scientists and engineers and the emergence of a variety of enabling technologies driving these new discoveries. Towed platforms such as ANGUS and human-occupied submersibles such as Alvin were followed by tethered remotely operated vehicles such as Jason. Then came deep-diving autonomous underwater vehicles, or AUVs. 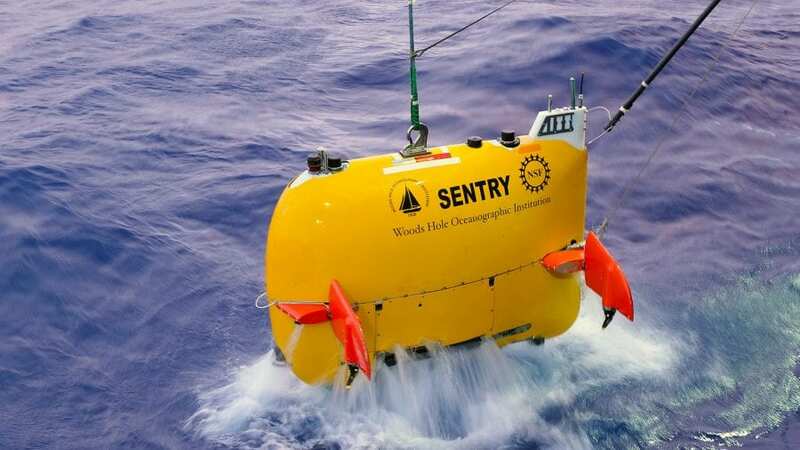 These pilotless vehicles swim at depths of 6,000 meters, or nearly 4 miles, performing a number of key functions, including high-resolution seafloor mapping, collecting seawater data, and imaging. “Before the arrival of these autonomous vehicles, we could only suspend in situ sensors from deep-tow cables, which made operations very unwieldy,” said German. “We had to lower gear to the seafloor on thick cables, which then could only be towed slowly through the oceans at 1 to 1.5 knots and in straight lines to avoid entanglement. With AUVs, we can attach the same sensors and make tight turns and systematically map things out in 3-D grid patterns.” That gives scientists the ability to visualize entire vent fields over a 5-mile range. 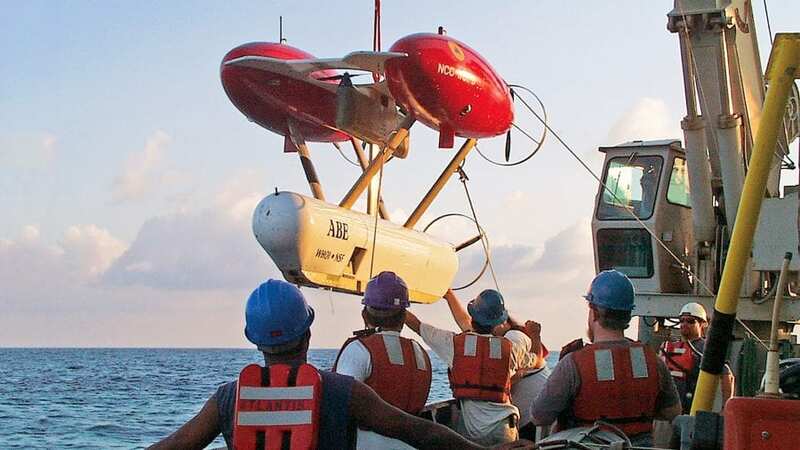 To work well in the deep sea, an AUV needs the ability to hover, stop, and reverse in unknown terrain, while mapping out various shapes and hazards as it approaches a vent site. And, if it gets stuck, it needs the smarts to bail itself out. German also credits developments in sensor technology as a breakthrough area for vent research. 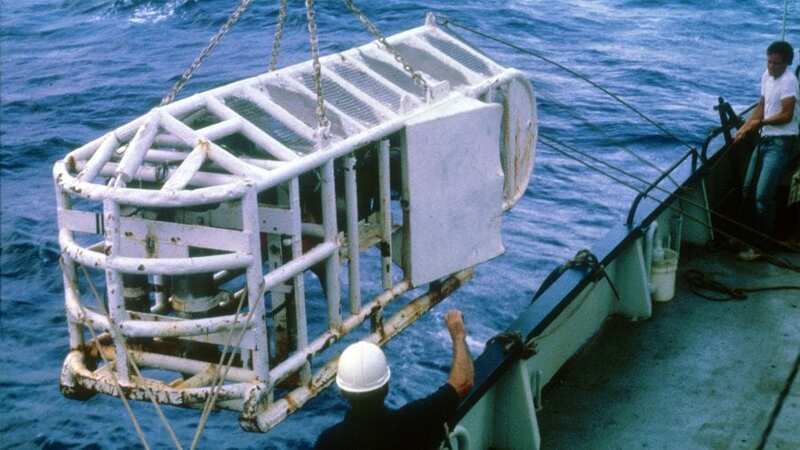 In particular, in situ sensors that can find hydrothermal plumes have been key for investigating new sites since the 1980s, when oceanographers began using optical clarity sensors to look for murky, mineral-laden plumes spewing from black-smoker vents. More recently, scientists have also advanced technology for chemical sensors that can detect chemical signals in hydrothermal plumes. When it comes to scientists and technology, of course, there’s always a wish list. German has his sights set on a sensor that can simultaneously measure a variety of key “tracer” elements in a hydrothermal plume in real time. 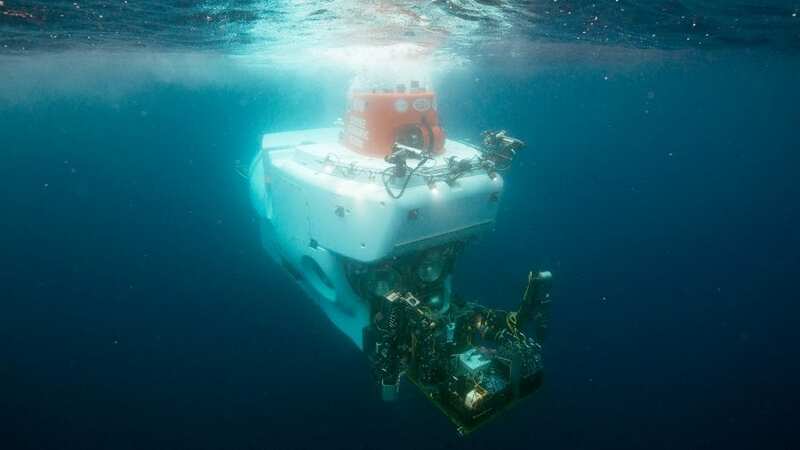 This way, he and other scientists could know what types of seafloor fluids to expect at a site before a submersible heads down to the seafloor to investigate in detail. From the first jaw-dropping glimpses in the late 1970s, we’ve known that vents are teeming with curious life: jumbo clams, deep-sea tubeworms, Yeti crabs, and shrimp with primitive “eyes” that detect black body radiation emitted from hot objects (such as vents). 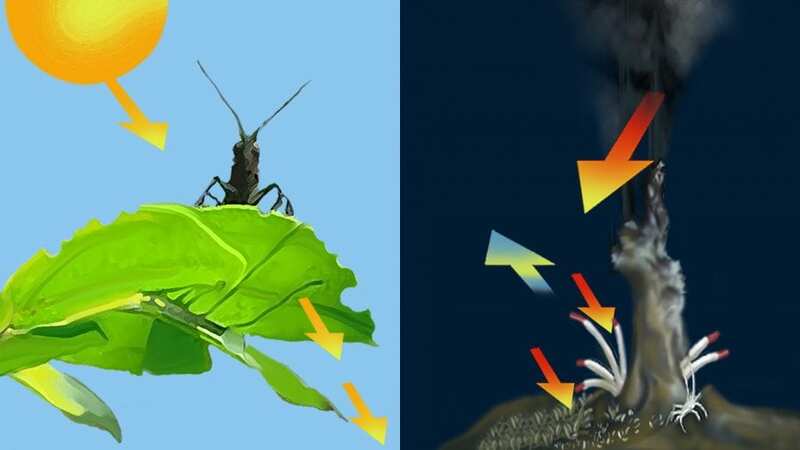 The shrimp, as well as other vent animals, live in a complex symbiosis with bacteria. Despite the absence of sunlight, all of the essential ingredients are there: heat from the Earth, mineral-rich vent fluids, and a vast universe of microbes that use chemicals produced by these volcanic systems—such as hydrogen sulfide, hydrogen, and even natural gas—as energy sources. But at what rates are these microorganisms using the chemicals? How much carbon do they produce and how fast do they grow? And what role do they play in supporting the deep sea and beyond? These, according to WHOI biologist Stefan Sievert, are fundamental questions that have been on scientists’ minds since vents were first discovered and investigated by WHOI scientists such as Holger Jannasch, Carl Wirsen, and Craig Taylor, among others. Sievert points out that most of our current understanding of vent ecosystem productivity is based on theoretical estimates and lab experiments—not on direct observations at the actual vent sites. This means the pressure, temperatures, and chemical concentrations microbes are exposed to in the lab may not correspond well with what they experience a few thousand meters down. To bridge this knowledge gap, Jesse McNichol, a former graduate student in Sievert’s lab, and other scientists at WHOI and elsewhere have performed incubation experiments on cruises in which they’ve collected deep-sea vent microbes in water samplers that maintain the seafloor pressure of the vent sites. The scientists then analyze the samples to measure the rates and activities of the microbes. The research is making headway, thanks to powerful new analytical tools that can, for example, match up a microbe’s identity with its biochemical activity down to the level of a single cell. A recently developed instrument known as Vent-SID, for Vent Submersible Incubation Device, enables scientists incubate microbes and measure their growth rates even right at the seafloor. Sievert adds that these techniques are helping scientists to shed more light on interactions among organisms in vent food webs. They are also helping them assess the role of deep-sea vents in cycling chemicals such as carbon, nitrogen, and sulfur between rocks, the ocean, and living things. How much carbon, for example, is recycled within the food web at deep-sea vents versus exported to the surrounding deep ocean? As Sievert and others push our understanding of vent biological productivity forward, other scientists have been digging deep for answers to another fundamental question: How do communities survive the violent and extreme conditions of these volcanically active underworlds? Given the dust particle size and so-so swimming skills of their dispersive, planktonic larvae, it’s a fair question. And a difficult one, said WHOI biologist Lauren Mullineaux, who has been investigating the seemingly impossible resilience of colonies living around vents. In 2002, scientists returned to the Galápagos to explore one of the first vent communities ever found. It was called Rose Garden because of the proliferation of red-tipped tubeworms that looked like roses. They never found it again. The seafloor is dynamic, and an eruption had paved it over sometime in the ensuing 25 years. Scientists assumed that the only way for the population to get re-established was through larval dispersal from other places, Mullineaux said. But it seemed unlikely since the distances between neighboring vents were initially thought to be long. And, at the time, it didn’t appear as though the larvae were adapted to migrating hundreds of kilometers through the ocean. But as more vent sites were found in the following decades, it became clear that vents weren’t always as far away from each other as originally thought. Clusters of vent sites existed with just a few dozen kilometers in between. So the idea of dispersal began to make more sense. Surprisingly, however, it turned out that vent larvae didn’t need particularly short commutes from one vent site to the next: These little swimmers could go the distance. The larvae, explained Mullineaux, were carried by ocean currents, which play a key role in larval transport between vent sites—due in part to the way deep-sea currents interface with seafloor ridge topography. The currents form jets that are steered along the flanks of the mid-ocean ridge “mountain range” and, hence, have the potential to channel larvae horizontally along the ridge directly to neighboring vents. In certain circumstances, surface winds, too, can play a role in deep-sea larval dispersal. Diane Adams, a former MIT-WHOI Joint Program student who tragically passed away shortly before the CBE6 meeting, discovered a strong correlation between eddies generated by surface winds and larval transport in deep waters. While our understanding of the larvae dispersal puzzle has broadened, most of the research on this topic, to date, has been limited to eastern Pacific vents. There hasn’t been the same kind of detailed work on larval transport in the western Pacific, where vent populations are facing new kinds of disturbances that have little to do with volcanic eruptions. No one lives in the deep ocean. We don’t make seafood casseroles from the eyeless shrimp hanging out at vent sites. And there are no beaches down there. 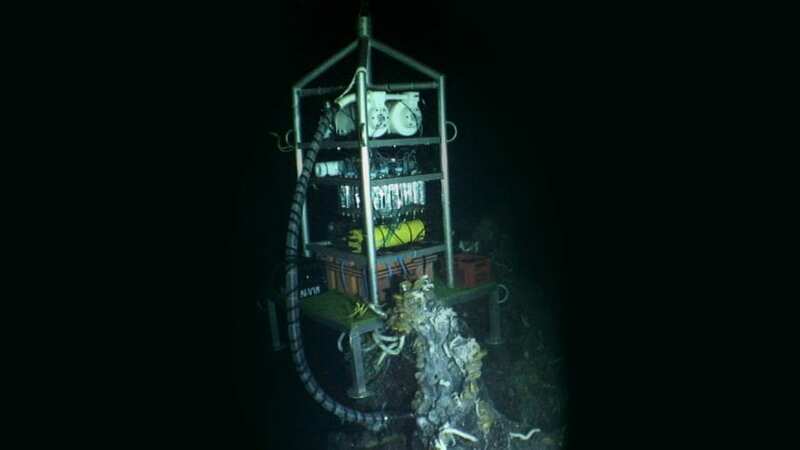 So why have we spent time and money studying hydrothermal vents over the last several decades? Do vents contribute to our well-being as humans? These are questions WHOI senior research specialist Stace Beaulieu has taken a hard look at since 2015, when she began researching the economic and societal value of deep-sea ecosystems. She is one of a handful of scientists applying a “human lens” to deep-sea research, and she believes hydrothermal vent systems contribute to society in a variety of ways. Not only does the research expand what we know about our world today, but it also provides potential clues about the origins of life on Earth. “There is good support for the hypothesis that life began at hydrothermal vents, and a number of studies suggest certain microorganisms found at vents trace back to ancient lineages,” said Mary Voytek, director of NASA’s astrobiology program and one of the panelist at the Morss colloquium. The Morss Colloquium scientists were also quick to point out that the discovery of chemosynthetic life under extreme conditions on Earth opened an entirely new window on the possibility of life on other planetary bodies and now guides our search for extraterrestrial life. We now also know that chemosynthesis plays an important role in many other ecosystems besides deep-sea vents—in salt marshes, for example. There are also a number of tangible benefits people can get from the deep sea, she said. 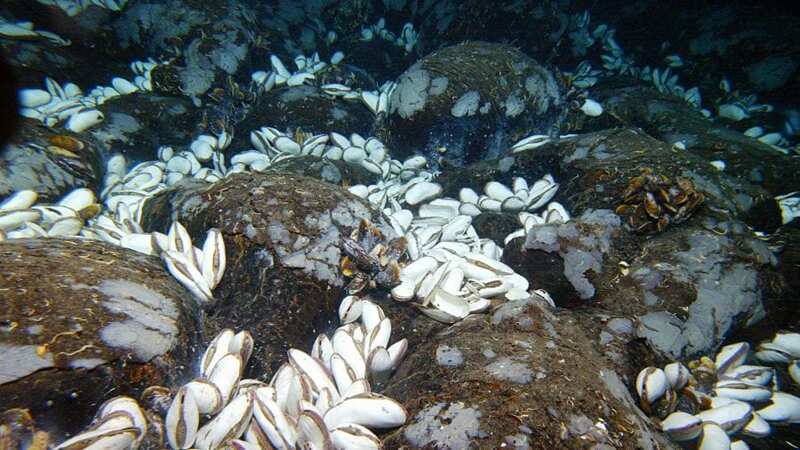 Hydrothermal vents may offer valuable marine genetic resources in the future, including enzymes found in vent organisms, which have unusual and potentially useful capabilities forged by their extreme environments. “Prospecting for biological compounds in organisms that live in high pressures and temperatures may lead to important industrial applications,” she said. Mineral deposits on the seafloor may also provide tangible benefits. They could be an answer to growing shortages of metals and ores and boost the quality of life for those in developing nations. But the question of whether or not to mine the seafloor comes down to understanding the consequences, Beaulieu said. While untapped minerals in the deep sea could provide value to humans, we need to understand the costs of mining them. Could extraction occur in a way that mitigates damage to marine ecosystems? What is the engineering feasibility? And can legal boundaries be applied to assure the resources are accessed in a responsible and fair way? “There are still a lot of unanswered questions,” she said. Beaulieu also looks at the softer side of vent-related ecosystem services, which she refers to as the existence value. The premise is that there’s value in these ecosystems just by virtue of their existence and our sharing the Earth with them.